Consider the acidity in a wine, intensity of the wine, the weight, sweetness levels, and certain spices. Amarone– (Italy- rich strong red) powerful game casseroles, parmesan, and heavier pasta dishes. Auslese– (Germany & Austria-sweet wine) duck with fruit sauce, apple pie, and even various spicy asian dishes. Batard-Montrachet– (France- rich full-bodied dry white) lobster, salmon with hollandaise or various seafood dishes in a cream sauce. 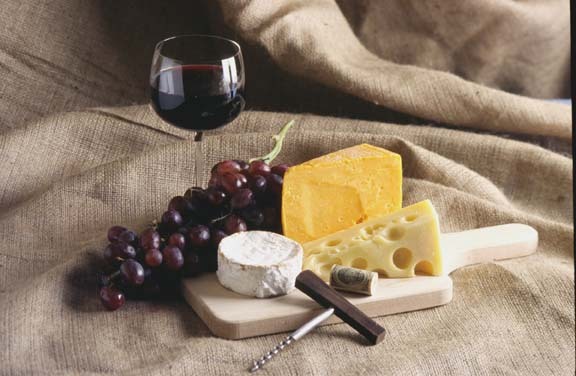 Cabernet Sauvignon– ( usually full-bodied tannic red) matured hard cheese, red meats such as an enticing steak, lamb, and sausages. Try with chocolate! Cava- (Spain sparkling dry white) as an aperitif or with scrambled eggs, and smoked salmon. Champagne (France- aperitif or with oysters yummy!, even some chinese food, chocolate as well. Chianti ( Italy- fruity medium bodied red) cold meats such as cappicola, sopressata, prosciutto, pizza, bbq, light red pasta dishes. Let’s not forget lasagna. Eiswein- (Germany- luscious concentrated sweet wine) fruit puddings, peaches, I once had it with a strawberry cake and it was a delight. Merlot- (soft medium- to full-bodied red) I like a Merlot with medium cheese and beef stew. Pinot Noir- (light to full-bodied red) roasted chicken, charcuterie, meatier fish my personal favorite is pairing it with salmon. Pinot Grigio/ Pinot Gris- (light to full-bodied white) pork dishes as long as they are not heavily spiced or sauced, grilled fish, liver pate’, linguine with a cream sauce, parmesan or romano. Port- (Portugal- sweet) Blue cheese and cheddar, chocolate, nuts, certain rich cakes. Riesling- ( Germany- light aromatic dry to sweet white) stir fry, goose, duck, asian curries, roasted vegetables, certain spicy asian dishes pair quite well, and pudding. Sauvignon Blanc- ( tangy dry white) seafood salad, shellfish, and Thai food. I personally enjoy with a nice salad as well. Shiraz/Syrah- ( rich full-bodied red) BBQ meats, rich meaty stews, hard cheese. Zinfandel- (aromatic powerful red) spicy dishes, stuffed peppers, pizza, dark chocolate, and I like it with pizza or BBQ. If you are not a white wine drinker and say your eating fish, try it with a Pinot Noir, most fish dishes pair quite lovely with a nice Pinot Noir. 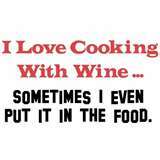 Very important to keep in mind it all depends on how the dish is prepared especially with cream sauces and seasonings. If you do not like red wine try a big Chardonnay with a meat dish, why not? Pairing is so much fun! One thing I usually like to do is when guest are coming over for dinner I open a bottle of Champagne to cleanse the palate with some light hors d’oeuvres. This entry was posted in Educational Tools and tagged acidity, educational tools for wine lovers, food and wine pairing. Bookmark the permalink. Lot of posts today! I suspect that this one will be found most useful! What picture came up from this reply comment?